In order to have legal ownership of any property registration is mandatorily required and stamp duty is governmental fee or tax which has to be paid as property transaction between the buyer and seller. It is one-time fee and has to be paid in full i.e. no part payments allowed. Stamp duty amount paid on legal document i.e. at the time of property registration during transferring any property from one's name to other name and this paid amount goes to the government. Registration done without stamp duty is not considered you as legal property holder and also not accepted by court so under any circumstances it cannot be skipped i.e. it has to paid in compulsorily. In any case if issue occurs of the property court will not accept property as legal unless it is stamp duty paid. When buyer signs an agreement with the seller of the property and then stamp duty comes into the picture andit is percentage amounton the legal documented agreement value. In short it is the governmental charges applied when property is bought. It serves as revenue earning mode to the state government. Stamp duty fee is the must amount and it cannot be bypassed (need to be paid) under any circumstances or else fine has to paid. 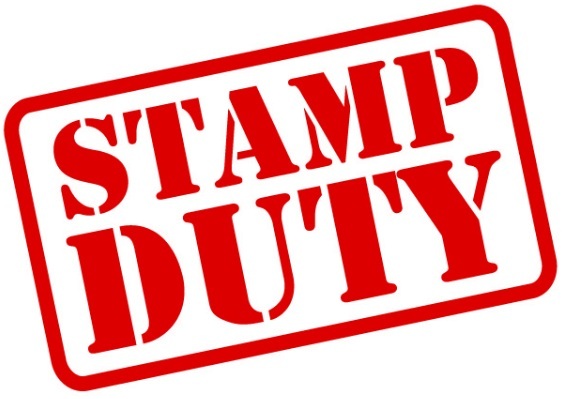 Slight delay in doing the stamp duty payment after property registration resulting it into state government charging a four times fine on the defaulter instead of the previous two times.Stamp duty of the property must be paid at the time of execution of the agreement. Fine charges for late payment of the stamp duty is 3.5% for property which is less than 1 crore and 4.2% for property greater than 1 crore per month on loss of stamp duty amount.. The costing of stamp duty rate is differentfor different property transaction and it is also based on the location of the transaction. Within India each and every state in India follows a separate stamp duty pricing structure. Usually the duty impose is based on the present market value of the agitated property. The market rate is determined at the beginning of every year in Ready Reckoner and then is made public. Newly introduced concept of e-stamping has also now been introduced by the government which has coming up with a more accuracy of the value of duty for fixed property. Various popular specification are taken into consideration by the e-stamping method to determine the rates of stamp duty in a particular region of state such as outstanding amount and mortgage distance from advantageous, proper road connectivity etc. and other factors. Earlier in Mumbai Stamp duty was 5% of the cost of property + Service Tax(4.5%) + VAT(1%) + 30000 INR as the registration charges = 10.5% + 30000 INR. Registration charges was not below 30000 INR. But after the implementation of GST in the country with effect from 1st July 2017 there are several changes in the charges where existing Service Tax(4.5%) + VAT(1%) = 5.5% got replaced with 12% GST(6%CGST + 6%SGST).